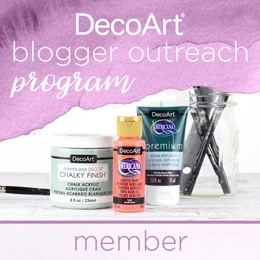 DISCLOSURE: I am part of the DecoArt Blogger Program and was provided product samples. I only promote and share products I personally use and recommend! 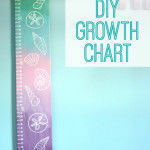 In addition, you may find affiliate links that come to no cost to you. 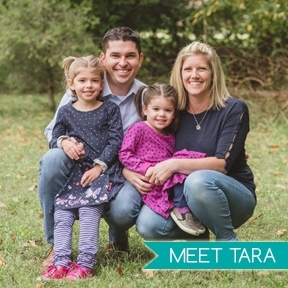 To learn more, please review my disclosure policy here. 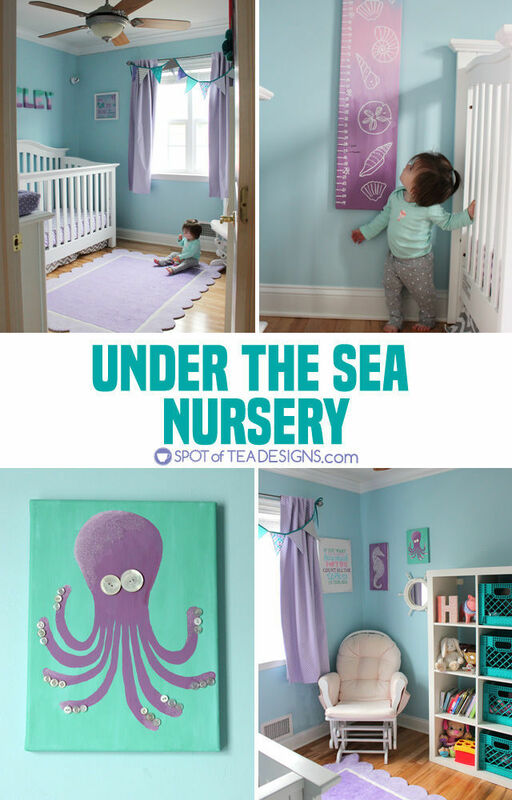 When it comes to nursery decorations, consider making over things you already have in your home. 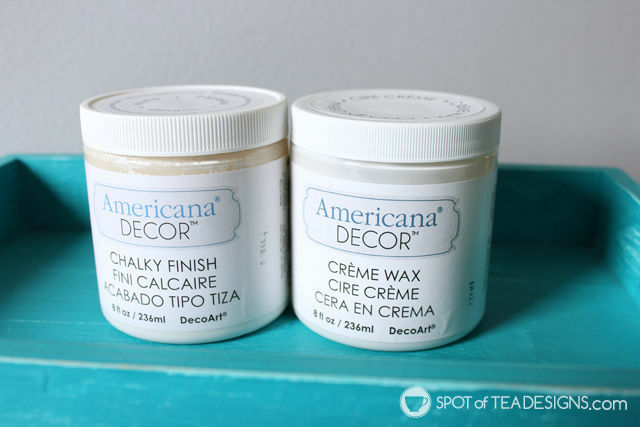 Paint and distress items to match your nursery’s decor and color palette. 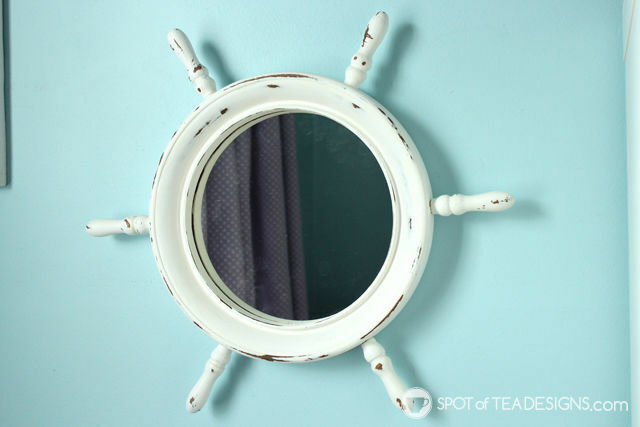 See how to use paint and some sandpaper to create this cute shipwheel mirror makeover for your little’s one’s room! 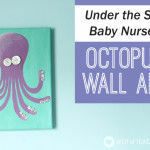 When we decided to keep our light blue walls in the baby’s room and to go with the “Under the Sea” theme I kept my eye out for cheap accessories or things I could DIY. 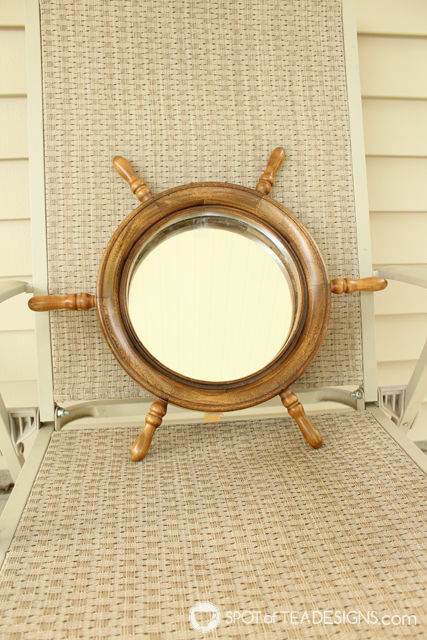 At one point I remembered this ship wheel mirror in the closet of Derek’s room at his dad’s house. I asked him if he could bring it home and I could DIY it to which he said of course and explained he thought it was made by his uncle, Steve. 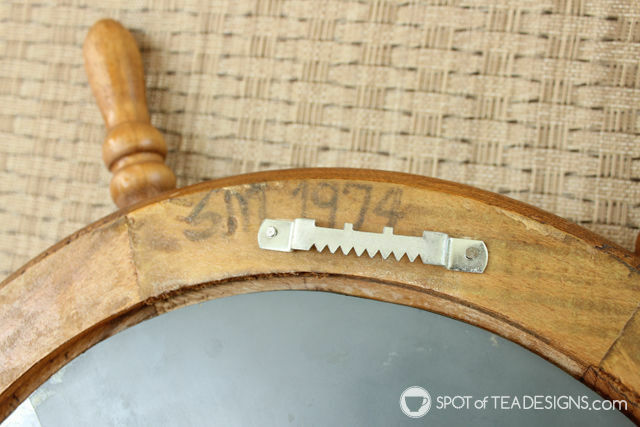 In flipping over the back, we did indeed see that it was made by “SM” in 1974. 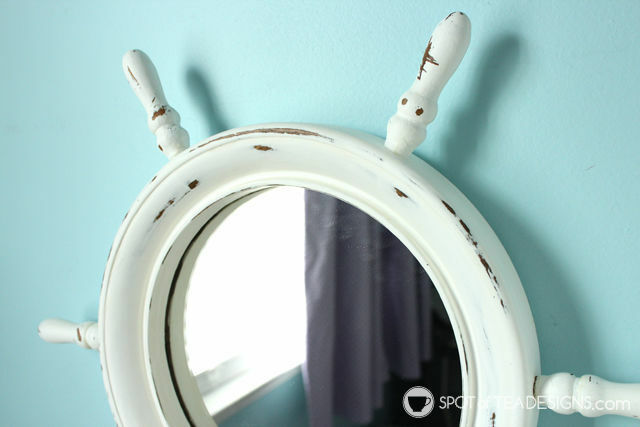 I decided to give it some new life and a new home in the baby’s room with a little upgrade of Americana Chalk Paint in hue of white named “Everlasting.” You’d previously seen me use this paint type on my entryway mirror and garage cabinet makeover so I already knew the steps and what sort of outcome to expect. 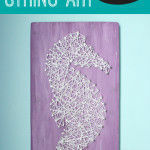 I took the time to clean, paint, distress with sand paper and apply a protective wax to this piece. 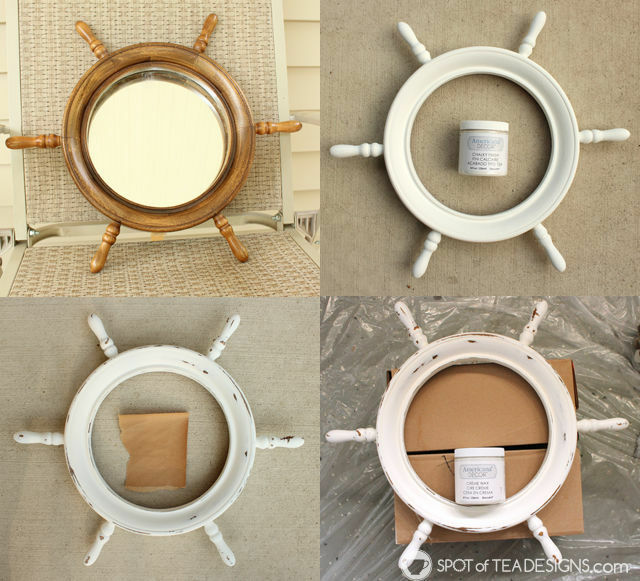 After drying, the ship wheel was ready for the mirror to be installed inside and hung in Hailey’s room! 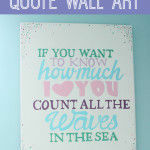 I love how it came out and especially that was it was something passed down through the family! 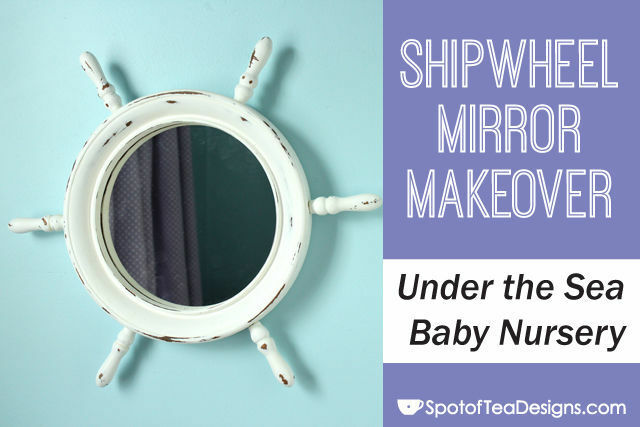 See how this mirror makeover looks hung in this Under the Sea nursery!